Regia Aeronautica (italian for Royal Air Force) was officialy created as an independent army in 1923, after the end of WWI. In a few years it became a very well organized army and, in the twenties, obtained many successes in air races and aerial competions. The red-painted italian planes won the Schneider Cup in 1920 (Savoia S.12), 1921 (Macchi M.7), 1926 (Macchi M.39); the final evolution of these great race-planes, the Macchi M.C.72, missed the final 1931 edition but obtained the greatest result three years later, reaching the still unbeaten speed record for seaplanes, 709 km/h, Garda Lake, october 23, 1934. In 1933 Air Minister Italo Balbo commanded a group of 25 Savoia-Marchetti sm55x Flying Boats on a 6000 mile-flight from Orbetello seaplane base to Chicago, the first flight of a formation across the Atlantic Ocean. For this facts Balbo was promoted to Air Marshall. A few years later he was named Governor of Libia. He was killed in june 1940, a few days after the italian declaration of war, in an aerial accident near Tobruck. Another famous competition took place in 1937: the Istres-Damasco-Paris air race. In this international competition 3 italian SM79c planes obtained the first 3 places, overperforming the british and french competitors. This planes had a nice insignia that became famous: three Green Mice talking of trifles. During the 1936-1939 Spanish Civil War Regia Aeronautica performed again very well. 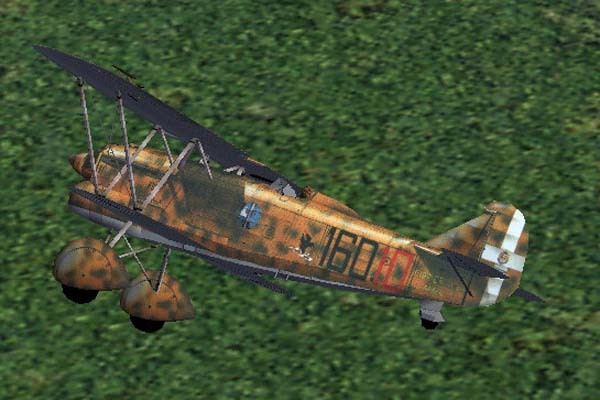 The S.M.79 fast bombers were able to hit their targets and easily escape the enemy reaction; the Breda 65 were successfully used in dive-bombing and strafing missions; the C.R.32 biplane fighters, in the hands of high-skilled pilots, obtained air superiority against the faster Polikarpov I-16 monoplane fighters. 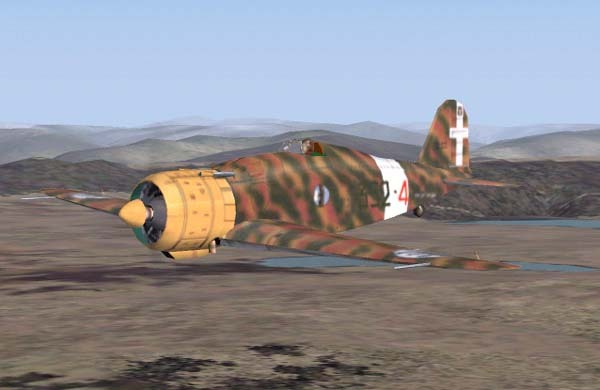 At the breakout of WWII (Italy entered the war on june 10, 1940) Regia Aeronautica was in a transition period; the bombers (S.M.79, B.R.20) were now an easy prey for the new british monoplane fighters; the new monoplane fighters (G.50, C.200) were generally inferior with respect to enemy (Hurricane, Kittyhawk, Spitfire) and allied (bf 109) ones. 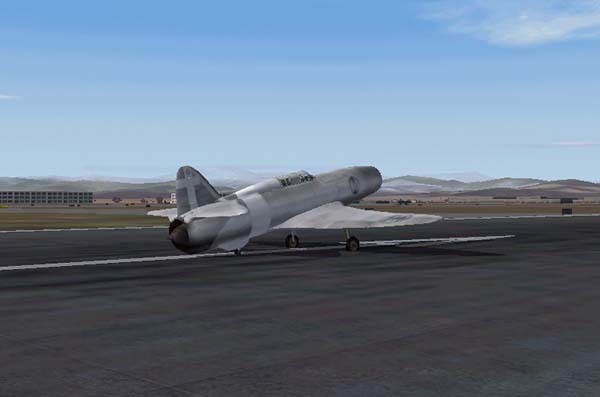 Soon after the war breakout an important event happened, the first flight of an italian jet. 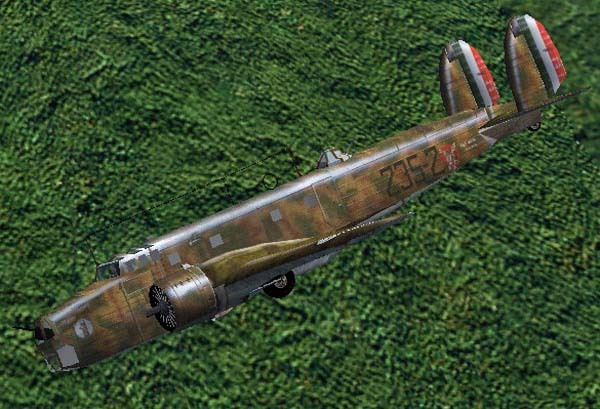 The Campini-Caproni flew on august 27th 1940, just one year after the Heinkel 176, the very first jet plane ever flown. Being poorly equipped Regia Aeronautica operated on almost all fronts: North Africa, Greece and Jugoslavia, Mediterranean, France and even the Battle of Britain and the russian front. 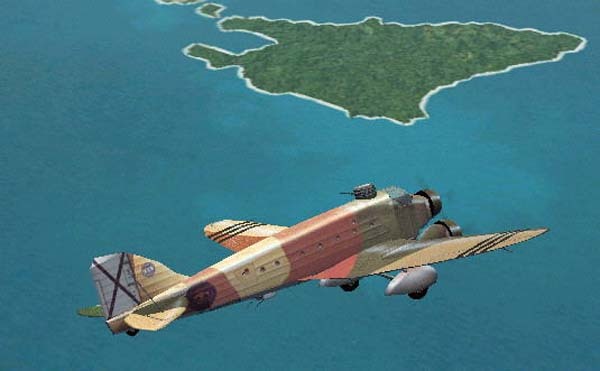 Perhaps the most famous squadrons were the ones equipped with Savoia-Marchetti 79 torpedo-bombers; they were a real challenge for the Royal Navy in the mediterranean and sank a number of british ships; the glorious four-cats insignia that some of them used is still being painted on the A.M.I planes today. 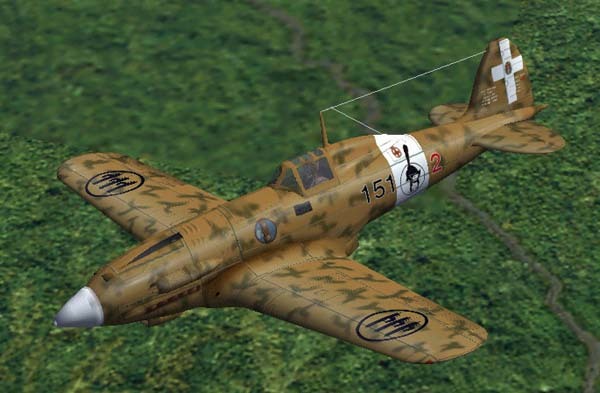 The qualitative level increased gradually during the war years with the introduction of new planes (Macchi C.202, Re 2001 in 1941) and the parity with the allied warbirds was obtained with the 5-serie planes (Macchi C.205, Fiat G.55, Re 2005) but it was too late; this beautiful planes entered service in 1943 when the armistice (september 8, 1943) was short coming. More than this Regia Aeronautica received from industry only 10,000 planes during the war period; too few if compared with british (120,000), german (120,000) or american (300,000) numbers. 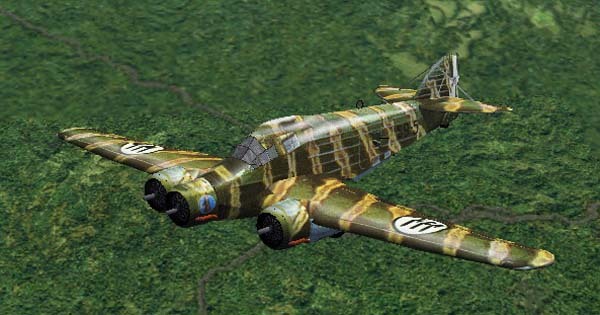 During WW2, all fronts 1940-43, Regia Aeronautica lost 6483 planes, either in combat, destroied on ground or lost in accidents. The italian pilots were credited of 2522 kills, plus 398 destroied on ground and 1711 shot down by Flak. The combat-ready planes never exceeded 2000 units. This is a list of italian aces posted by VF2_Rolf at CFS2Online; don't know the source but looks quite interesting and accurate!